I believe you should dress well, everyday. Put in some effort and thought not just for a night out or a special occasion. Wear a flattering pair of pants or a nice skirt with a matching blouse. Choose comfortable high-quality shoes and jewelry to complement your look. I guarantee that you will feel good about yourself. Clothes do not make the man, but they sure elevate self confidence and mood. This time I present new designs for the upcoming fall. I designed skinny pants made of mouse gray, soft, high-quality cupro viscose. The pants wrap the body in a flattering way, and not too tightly; they have a high waist with front and back pockets and X-shaped belt loops. 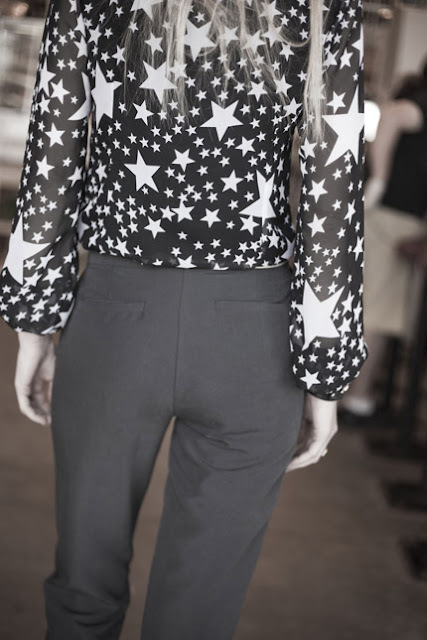 The chiffon blouse has a white stars print on a black background. The front and back have smooth washed chiffon lining. 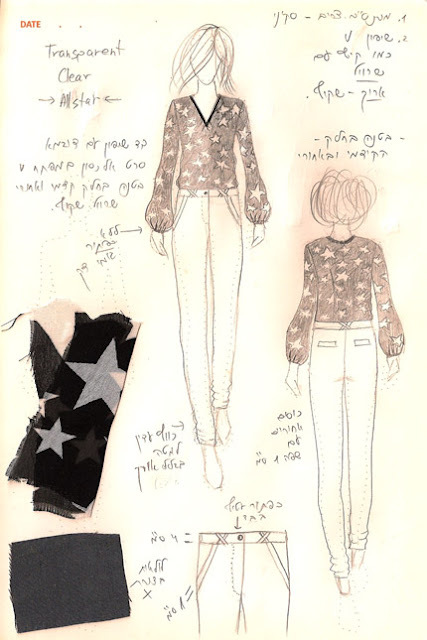 The blouse has a V-shaped collar, with a black diagonal strip, and puffy see-through sleeves for a soft feminine look.